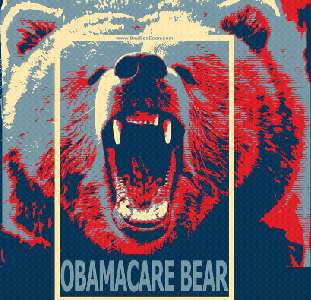 More ObamaCare / ObamaTax Images for your blogs and articles. I made these images for use on your blogs, articles, social networking and general amusement. Enjoy! Other Doo Doo Economics images are available on Flickr. Click Images for tshirts and other related gear. Feel free to use these images on your blog, news article or social media page. All of these images are original works. You can also find these images and more on Flickr. Tomorrow we find out if the Supreme Court begins the dismantling of ObamaCare. Regardless of the SCOTUS ruling, between 49.7% and 54% of Americans oppose the Affordable Care Act (ACA). The act has lost in the court of public opinion and it will be dismantled further in November. "Progressive*" Democrats have tipped their hand in regard to spinning the defeat. They are concentrating on re-educating the public about the "good" parts of the law. The goal is to minimize the damage to President Obama's legacy. Seriously, do Americans need re-education on ObamaCare? The law has been endlessly debated and discussed. We see how it is affecting the cost of health insurance. On all counts, the ACA is hurting more Americans than it is helping. Millions of young people and Amish who do not need or want health insurance are mandated to buy health plans. Millions more older Americans who need health insurance are losing their employer sponsored plans. To be frank, the "progressives" think Americans are stupid. Everyday they patronize us. This is another example of how they push the narrative that "subjects just don't understand." * It is obvious that "progressive" actually means "regressive" as the goal is to regress back to centralized control and away from individual rights, freedom and responsibility. The cost of drugs is a central reason American health insurance is so expensive. 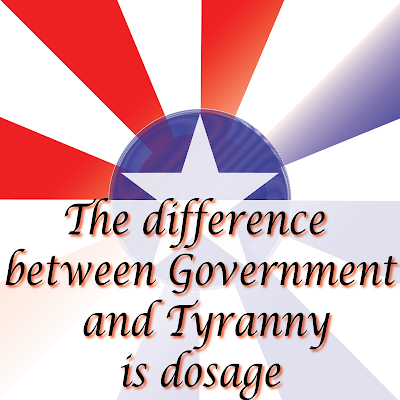 Consider that the cost of FDA approval of a single drug averaged $494 million dollars in 2009. Many of these approved drugs fail in the marketplace. The few drugs that succeed must be marked-up to cover the cost of all the other drugs being researched. Clearly one might then argue that the marketplace is not working. That would be true except for the fact that the market for prescription drugs is international while the patent protections are not. Foreign governments, including China, wait for new drugs to be released and then reverse engineer them. U.S. patents are sometimes used as a guide to create illegal generic versions of approved drugs. 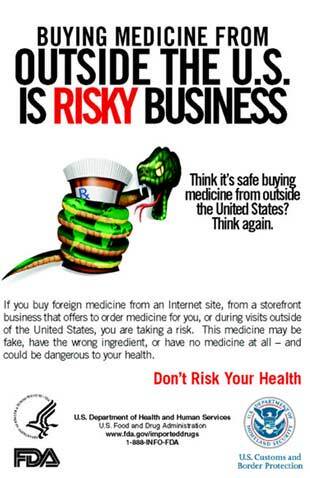 American drug companies must then compete with illegal generics because of the patent infringement. This leaves America as the only market in which to recoup the cost of creating life-saving drugs. All of these costs are passed on to the American consumer via insurance premiums. Our insurance premiums are paying for the entire planets health care research and development. American tax-dollar-funded basic research grants are also used to create the drugs which are then stolen through patent infringement. Health insurance in America is expensive because of the enormous and unfair share of financial burden placed on our 5% of the world's population. To control costs, we need a new policy that is not focused on cost cutting grandma into hospice through "end of life counselling." We need a policy that returns patent protections to the creators and then enforces our patent laws internationally. How do we enforce U.S. law internationally? Make it clear that any violation of U.S. patent law with regard to prescription drugs will be pursued by the U.S. Justice Department. When a foreign government, corporation or individual violates us, make an example of them. Do this repeatedly and publicly instead of running guns to Mexican/Iranian drug cartels. That is the actual role of government, to defend the country. If foreign nationals were violating American citizens in other ways, we would go to war. Yet, stealing our knowledge, tax money and income is accepted because the truth is never explained. The market is supported by a fair set of rules. Those rules are being violated and it is forcing Americans to live in fear. Politicians and the mainstream media fail to properly identify problem. For example, ObamaCare does not address the underlying problem of cost growth. ObamaCare simply tries to force people who do not need health insurance, people under 30 years of age, into insurance plans and cuts out those who need health care, working families. ObamaCare also discourages the innovative research that keeps humanity winning the race against disease. It goes without saying, but many of the people who read this post will have never been told that Americans are paying for the entire world's health care research and development. Until they hear it from three separate sources, they will not believe it. The best that can be done is present the truth and hope people allow themselves to start questioning what they have been told or not told. Once everyone is engaged in the same free market, prices will fall. There will also be less rationale to prohibit the importation of prescription drugs as that policy is singularly designed to protect high domestic prices for our drug researchers and manufacturers. The free market is the answer, but it must have a fair playing field. Democrats and President Obama continually call for "Robin Hood" and other arbitrary taxes on millionaires. It is a political tactic that ignores the fact that Robin Hood was returning unjust taxes from the government to the people. Undeterred, left-wing celebrities have joined the Robin Hood Tax campaign. 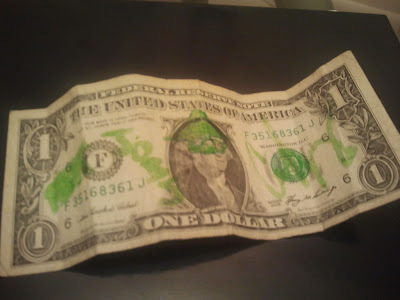 The campaign defaces dollar bills by drawing a hat and mask on George Washington's portrait. The defacement will be unrecognizable, but any green smudge is a success to those who do not understand the Robin Hood story. The actual Robin Hood story is "Rob from the rich (GOVERNMENT) and give to the poor (TAXPAYERS)." A story Ronald Reagan summarized when he said, "government is not the solution to our problem; government is the problem." Maybe the Tea Party should put tricorn hats on dollar bills to have some fun at the expense of the progressives. The Wall Street Journal reported in March 2010 that after passing a millionaire surtax nearly one-third of Maryland's millionaires had gone missing, thus contributing to a decline in state revenues. The state comptroller's office final tax return data for 2008 reported on the first year that higher tax rates applied. The number of millionaire tax returns fell sharply to 5,529 from 7,898 in 2007, a 30% tumble. The taxes paid by rich filers fell by 22%, and instead of their payments increasing by $106 million, they fell by some $257 million. The idea, popularized by economist Arthur Laffer and writer Jude Wanninski in the 1970s and '80s, is simple. Tax rates of zero percent produce no revenue, for obvious reasons. Rates of 100 percent produce zero revenue, as no one bothers making the money that falls into that bracket knowing it would all be taken away. There is some rate in-between the two extremes that maximizes revenue. Go above it and tax revenue falls because people are dissuaded from working; go below it and tax revenue falls below the optimum. A Bank of America Merrill Lynch analysis of federal tax return data on people who migrated from one state to another found that Maryland lost $1 billion of its net tax base in 2008 by residents moving to other states. That's income that's now being taxed and is financing services in Virginia, South Carolina and elsewhere. Some readers of this blog are concerned with the amount of discussion related to President Barack Obama. He has been a historic president in many ways and not all of them have been good. Doo Doo Economics is happy that America has it's first non-white president. America is diverse and opportunity should never be restricted based upon appearance. We should all be judged based upon our character and abilities. Also, we feel sorry for the left as twitter is becoming the new talk radio. In the spirit of outreach, we are making the following fund raising suggestion to the Democrats. With the recent "First Gay President" coverage, you might want to offer an olive branch to some of your other followers. It seems that one of your largest global constituent groups is not being served. We suggest the Obama 2012 Prayer Rug product line. Update 6/22/2012: Twitter #ObamaFundRaisingIdeas has finally taken off! This profile picture is also a great response to gay activists who flip-off White House portraits. Since there is so much bad news on the economic front and so little leadership coming from Washington D.C. these days, today was a good day to do something fun. Here is a gift for my friends on Facebook and twitter. The President Ronald Reagan profile picture. Click the image above to be taken to the Facebook hosted image. You can also download the image on Flickr. Mouse over the image and look at the bottom for "options". If you like this, here is an entire album of Star Wars inspired profile pictures. Also, the San Diego Local Order of Bloggers website has been updated and improved! Ladona Harvey yesterday reported a story on "smart" parking meters in Santa Monica and Northern California. Unfortunately, she did not realize that this travesty has already arrived in San Diego. La Mesa's downtown is already populated with "smart" meters (pictured above) in addition to attempts to strong arm businesses into paying for "property-based business improvement district" (PBID) fees via property tax assessments. The entire operation is irrational as the "smart" parking meters drive away business patrons to enrich the city, pay political cronies "management" fee and pad the resumes of local bureaucrats. 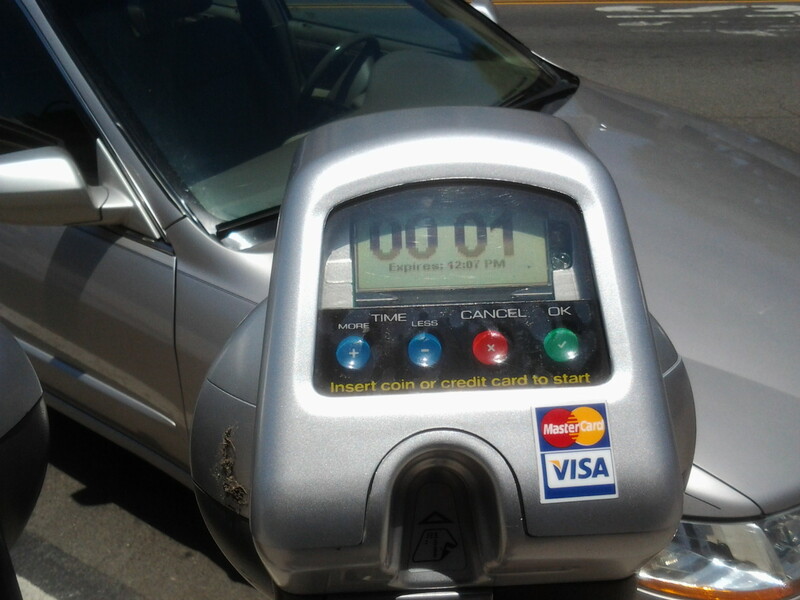 Ladona's coverage of the issue was based on a New York Times report that Santa Monica, California will install "smart" parking meters in an effort to raise additional fees and fines. 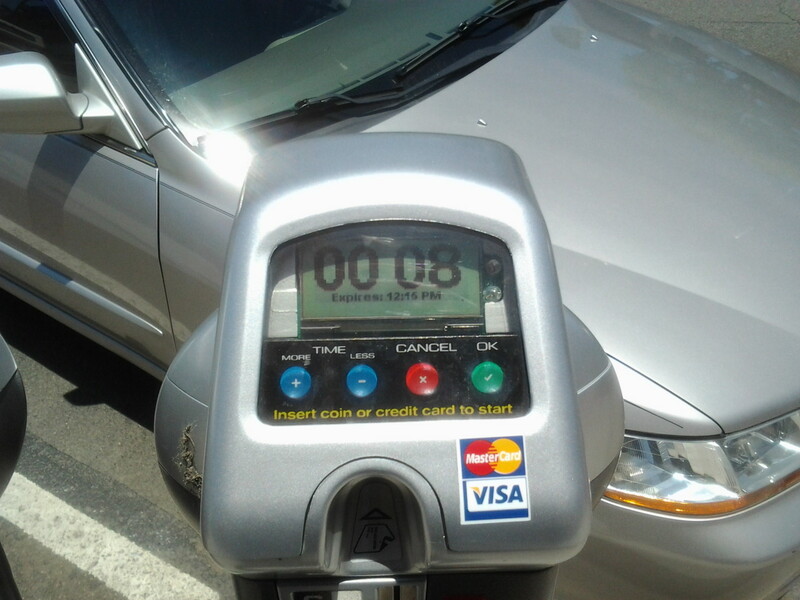 The meters reset time rented to zero as soon as a car leaves the spot based upon input from a pressure or magnetic ground sensor. The "smart" meters call police when time expires and in some instances additional time cannot be added to the meter. In New York, the "smart" meters are being developed to dynamically manage the pricing of parking spots. San Francisco and Los Angeles are also pursuing these tactics to rob the public of payed-meter rent. ..critics, including residents and visitors from near and far, say the tactic appears to be simply a way to squeeze more money out of the parking meters. The city does expect that the new system will bring in an additional $1.7 million in revenue, but officials say the money will be used to pay for the meters and credit card fees over the next three years. Mr. Patterson said that since the new meters have been installed, parking tickets in the area have decreased. But Donald Shoup, a professor of urban planning at the University of California, Los Angeles, and the author of “The High Cost of Free Parking,” sees Santa Monica’s plan as a pale imitation of the more ambitious plans in San Francisco and Los Angeles. ..the city's new elected treasurer, David Cohn said the city did not have a reliable system of auditing revenue from each of the city's 1,600 parking meters.. The city collected about $1.7 million in revenue from parking meters last fiscal year and about $2.2 million in court and parking fines. Similarly, fellow SLOBs member Liberator Today's Proof is reporting that the Road to Serfdom Includes the GW Bridge. In the expose, the WSJ is citing a New York police tactic of fining commuters for ride sharing over the George Washington bridge. Drivers are being fined for "picking up" strangers to save $6 and use the car pool lane. The justification is that someone might get murdered, although no such reported crime has been associated with the frugal drivers or passengers. Update La Mesa, 12:06 am: A randomly stop at the "smart" meters revealed one was down to one minute remaining.After adding a dime to see if time would be added, it was as you can see in these photos. The owner of the vehicle arrived and was forced to call and report an error on the not-so "smart" meter to the number listed. He had seen me add the money but had just added 40 minutes at 11:40 am. My arrival at the not-so "smart" meter and photographs had occurred at 12:06 pm. The first photo at 12:06:29 pm as indicated by the photo name. The second photo was taken at 12:06:59 pm. 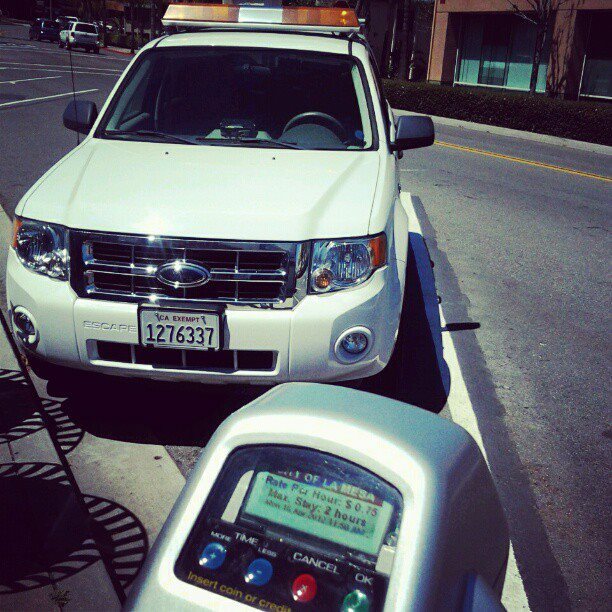 The title of this post from a couple hours ago has proven accurate...the man had been robbed by the meter! Partiinost: obligates the creative person to eschew all pretense of objectivity and openly register his sympathies with positive values and hostility toward any opposing point of view. Opponents are portrayed as repugnant villains. Partisanship is a similar English term. Ideinost: The requirement that propaganda embody a significant idea or "high seriousness." A similar English word may be ideological. Narodnost: Popular accessibility in practice banishes overly difficult, intellectual and experimental art. Appeal to the lowest common denominator. In English we may say "keep it simple, stupid." Tipichnost: Socialism is to be depicted "in its revolutionary development," it is to be "future-oriented." It is not that which is, admittedly, typical of today, but that which is to become typical tomorrow. English language socialists use the term "progressive." Use these terms and see a pale, fear fall across the faces of those who wish to use them against you. Use these terms descriptively. These terms are fun! One example is the use of Partiinost to describe Alec Baldwin's rant against Florida. The state has made an effort to remove illegal aliens and dead people from voter roles. The far-left actor declared Florida to be "suppressing the vote." Peace: The Great Distinction Between Progressive and Conservative. Please begin this short journey by considering, for a moment, your definition of the word "peace." Researching definitions of "peace" has led me to a simple but important distinction between the two major definitions. The first common definition of peace is when conflict is resolved. The second definition is when harmony is achieved. Both of these definitions seem harmless and even positive on the surface. However, each implies drastically different policies and goals when applied through governance. The term Peace has been co-opted by many liberal, leftist and even communist movements. 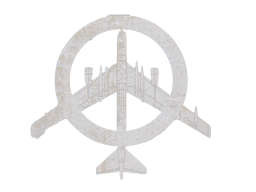 The classic peace symbol is a logo for the Campaign for Nuclear Disarmament. The "Nuclear Disarmament" "N" and "D" create the symbol. It was never restricted via patent, copyright or trademark and has grown beyond it's original meaning. Today, "peace" and "fairness" are common themes used by the political left. These are vague terms. As vague terms, research to find a common definition may bridge some of our political divides. At least, this research may explain some major differences between current ideologies and the policies they pursue. While this blog attempts to be "fair" to parties with whom we disagree, we are imperfect beings. It is our hope that you will correct us when we fall short. However, in this instance clarity is more useful than "fairness." Current conservatives occupy the philosophical ground of Lincoln, Jefferson and the founding fathers of the Constitution who opposed the over-reach of the Federalists. Because of this ideology the emerging Republican party will either become the conservative party of private property and free markets or it will go extinct. Conservatives believe that our rights come from God, and that the only entity on Earth with sovereignty is man and not community, not society and clearly not government who is loaned power from the sovereign citizenry. "Conservative peace" is equilibrium between human beings with competing interests and differing opinions that allows for cooperation. Conservative peace does not require complete agreement, just the absence of conflict. "Peace through strength" is a conservative theme and understanding what is meant by "peace" brings clarity to the adage. The threat of force is not needed to find agreement. Agreement coerced through threat is intimidation. Agreement coerced through force is conquest. Let's be clear about conquest. It has been the order of the world from the caveman through the Spanish Conquistadors and it still exists today. The right of conquest is an absolute and universal right in every political ideology. It is not a conservative or liberal ideal, it is a political fact. Modern conservatives are often prepared to seek "peace through strength", but such peace has never been pursued to extinguish opposition. American progressives and the Democrat party has controlled much of America's political reality since FDR's "New Deal." Under this reality America has established a social safety net and promised a growing percentage of citizens benefits. The Democrat party has become the party of big government and public employee unions. This is a powerful position, and one that wields the threat of government violence and force against the citizenry. The Democrat party has morphed from the anti-Federalist party that was founded by Jefferson. Since the Republican's broke away prior to the civil war, the Democrats have become increasingly reliant upon their position and promises to hold power. A position which now has reached the end of the line. Key in the rhetorical battle to gain Democrat support from the public has been the term "peace." President Barack Obama gained notoriety for opposing the Iraq War and treatment of prisoners. However, it has become apparent that Democrat's "peace" is not the same peace as defined by their supporters. "Progressive peace" is when no one disagrees. It is harmony. This may be restated in many ways, and they all seem to apply. Holding the powerful position as the party of government and holding a force of threat unmatched in human history makes this realization dangerous. When States and governors disagree with the goals of the left, recalls and federal lawsuits are pursued. When bloggers speak truth about left-wing operatives, families are threatened through "swatting." When tea parties opposed government policy they are labeled "racist" and even "potential terrorists." When facts emerge that prove the government is threatening national security or arming Mexican drug gangs, denials are not given, threats against those seen as "offensive" are made. It is made clear that American citizens may be killed without due process. When you disagree with the American left, your character is attacked. If smears are not sufficient to end your opposition, they will lie and cheat in order to win. If they still cannot defeat you, expect the threat of force. President Andrew Jackson vs the American Indian nations during "Manifest Destiny"
Hitler's National Socialist party vs "inferior races"
Margaret Sanger's progressives vs "undesirables." It is unclear which of these examples is the worst, but Hitler is viewed in the worst light. He was defeated. This may be an example of the right of conquest. The right to tell the story or the right to declare peace. For my friends on the left, who see this as a partisan attack, let me guess why you may feel this way. If you believe that peace only comes when disagreement is over, then my disagreement with your comrades' actions is an assault against peace and possibly against you personally. My disagreement is intolerable. In order to justify what must be done to establish peace, must you demonized and dehumanized the messenger? Seriously, question yourself. This is only my theory but it explains my observations. Observations of family members who are intolerant of my ideas and opinions regardless of established facts. Observations of acquaintances and friends who demonize and minimize Fox News. Observations of how political processes around us work. Observations of how money is spent by the left. Observations of "grassroots" groups being paid through Craigslist advertisements. Observations of the war on free markets, private businesses, banks and the Marxist term "capitalism." Observations of claims that "the debate is over" and that critical scientists are "climate change deniers." More notably, this theory explains why Scytl is not the biggest news story in America. "Progressive peace" is when no one disagrees. Please falsify this hypothesis, if you can. Hat tip to fellow SLOB Beers with Demo for an excellent link on the forthcoming political revolution. Last night was spent downtown San Diego with all the political activists watching election results. It was a night filled with major tea party inspired victories but with a few loses due to dirty establishment tricks. Overall, it was a very bad night for the national Democrat Party as their union power base was flushed in Wisconsin. Gov. Scott Walker walked away with 53% of the vote. The mainstream media portrayed this as "survival" despite the fact that it is the same percentage of the vote Barack Obama "historically" received in 2008. The Wisconsin victory was a massive blow against the government labor monopoly power organized against the tax paying public. With 35% of the vote reporting in Wisconsin, Gov. Walker was leading 60% to 38%. The margin narrowed, but the election was easy to call from that point. In San Diego, during a conversation with a young establishment Republican, we commented, "we are tea partiers here to make sure the good guys win." The look of alarm on his face was disarmed by my friendly smile. Carl DeMaio, a San Diego mayoral Republican candidate and fiscal reformer won, but will be in a clearly defined run off against establishment Democrat Bob Filner. State Proposition 29. Increased cigarette taxes failed with 51% voting against. San Diego Proposition B. Reformation of San Diego City Employee Retirement Benefits passed overwhelmingly (66%). El Cajon Proposition D. Proposed Charter City passed (57%). Grants the city of El Cajon increased flexibility in it's budget. The bad: State Proposition 28. The deceptively worded expansion of term limits was passed. This increases maximum terms for California state politicians from 14 to 24 years. This proposition was intentionally worded to mislead the public into believing that they were voting for term limits when in actuality they were voting to weaken term limits. The political game worked by yielding 61% of the vote. It appears that about 39% (plus those who knew they were voting to weaken term limits) of Californians are paying close attention to the tricks and tactics used against them. Proposition 28 expands the influence of unions in California. The union bosses will keep their payroll of pawns in office significantly longer. This reduces the off-chance that a person of character will be elected and stand up to the bribery and manipulation of the public employee unions. Please take a moment and congratulate all the brave men and women who ran for office. Scytl Involvement in French and Greek Elections. The following outlines the involvement of the Spanish company Scytl with French and Greek elections. Scytl will be counting votes in several states for the 2012 Presidential election in the United States. So if the recent election in France comes into question due to problems with Scytl, it will be of great concern to American citizens. The French Ministry of Foreign Affairs has recently awarded to Scytl a contract to provide the online support to the voters during the next French Parliamentary election. The support will include an innovative online solution to allow voters to verify the compatibility of their computers with the secure online voting system provided by Scytl (web). Approximately 1 million French citizens living overseas will be entitled to vote over the Internet with Scytl’s secure online voting platform. Mr. Edouard Courtial, Secretary of State for the French living abroad, held a press conference on February 10 to present Scytl’s electronic voting solution. Scytl, in alliance with Atos, has been selected by the Ministry of Foreign Affairs and the Ministry of Interior to provide its Internet voting solution in the French national legislative elections of June 2012. In these elections, a total of 1.2 million French citizens in 11 different districts spread over 5 continents will be entitled to vote over the Internet in order to directly elect 11 members of the Assemblée Nationale (French National Parliament). This will be the third election that the French Ministry of Foreign Affairs carries out with Scytl’s technology, after the 2009 and 2010 election to the Assemblée des Français de l’Etranger (AFE). The press conference was held at the Quai d’Orsay - Ministry of Foreign Affairs in Paris in the “Salon de l’Horloge” where Jean Monet and Robert Schuman signed the appeal to create the European Coal and Steel Community. Scytl has successfully carried out, with its partner Atos Origin and for the French Ministry of Foreign Affairs, the partial elections to the Overseas French Assembly (AFE) for the districts of Mexico and Washington. Over 60,000 French citizens were eligible to vote over the Internet from October 6 thru 24 with a significant increase in participation compared to the 2009 election. This election was conducted though the permanent secure Internet voting platform provided by Scytl to the French Ministry of Foreign Affairs. This platform will be used in the next parliamentary election of 2012 in which for the first time 11 members of the French National Parliament will be elected by the French living abroad. 340,000 French living in Africa, North America and Latin America have been called to participate in the election to the ‘Assemblée des Français de l'Etranger' (AFE) organized by the French Ministry of Foreign Affaires. Approximately 10% of the votes have been cast over the Internet through Scytl' secure Internet voting platform. Total participation has increased by 2.2% over the previous election. Voters have also benefited from an online voter registration system that has remained open during the election. The objective of 24/7 availability for the electronic voting system has been 100% met by Scytl and its partner Atos Origin during the 15 days that the online election has remained open. Scytl's Internet voting platform Pnyx, which will be implemented in the election to the Assembly of the French living Overseas (AFE) in partnership with Atos Origin, has successfully passed the security audit, showing its compliance with the electronic voting requirements of the Commission Nationale de l'Informatique et des Libertés (CNIL). To conduct this audit, the French Ministry of Foreign Affairs has appointed an independent expertise agency which has been officially authorized as Centre d'Evaluation de la Sécurité des Technologies de l'Information (CESTI) by the Central Information Systems Security Division. This audit has consisted in a thorough analysis of the Pnyx security architecture, cryptographic protocols and source code and of the organizational procedures that will be put in place. Based on the audit report, CNIL has issued a favorable recommendation and the Council of State has approved the decree 2009-525 which authorizes electronic voting in the AFE election. From May 20 to June 4, the French living in Africa and America will be able to cast votes through the Internet from the following site: http://www.afe2009.fr/. Eric Elbhar has recently joined Scytl as Director of Global Alliances. In this position, Mr. Elbhar will be responsible for developing and strengthening Scytl's partner network worldwide. Mr. Elbhar has 14 years of international sales and marketing experience in the technology sector in companies such as CDC Corporation, Ross Systems, Selligent and Cap Gemini. Mr. Elbhar is fluent in English, French, Spanish and Portuguese. Scytl has showcased its innovative solutions for e-voting and election management during the 18th GCC eGovernment and eServices Conference that was held on May 19-23 in Dubai (UAE). Pablo Sarrias, VP Sales & Marketing, presented how ICT can enhance good governance in the field of elections, illustrating his points with the presentation of Scytl’s successful implementation of e-voting in the UAE during the 2011 national elections. Marked as the largest eGovernment conference in the world, the "18th GCC eGovernment and eServices Conference" aims to encourage innovation and elevate the standards of implementing a strong eGovernment framework in paving the way forward to global competitiveness. This conference was organized by Datamatix Group in cooperation with the eGovernment Institute. Scytl has been selected by the European Union as one of the official partners of STORK 2.0 (Secure idenTity acrOss boRders linKed 2.0), a major three-year project aimed at facilitating the creation and take-up of a single interoperable and sustainable electronic identification (eID) authentication area in Europe. Bringing together 58 consortium partners and 19 countries, the initiative will drive convergence between the private and public sector, at national and EU levels, for secure and easy access to cross-border public services using eID credentials. Identity management is a cornerstone of Scytl’s approach to ensuring free and fair elections and the participation to this major scale project will reinforce Scytl’s position as a pioneer in the research and development of secure and innovative solutions for elections. In addition to the deployment of Scytl’s technology in the United States, the company’s secure election solutions have been used in public elections by governments in the countries of the United Kingdom, France, Canada, Norway, Switzerland, United Arab Emirates, South Africa, India and Australia.